Neha is a girl with different ability. But this has never stopped her from painting her imagination on canvas. 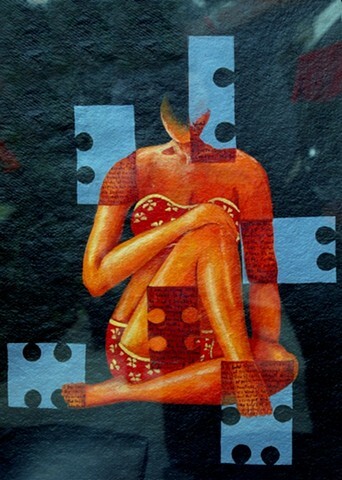 Her works depicts the different sides and moods of women. The situation and thoughts which a woman goes through can clearly be seen from her paintings. One of her painting shows the musical life of a woman while other the scarifies that she makes her entire life.